Nexus 4 bumper cases have been out of stock on the US Play Store for at least a month now, but today they've finally returned - same price, same place. 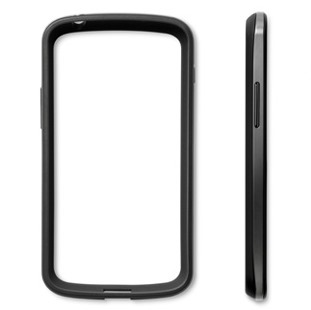 The official Nexus 4 bumper will run you $20 plus tax and shipping, which is indeed quite pricey for such a simple little item. While Google does seem to have stabilized Nexus 4 stock in the last month, it's more than a bit befuddling to me that they can't keep a cheap piece of plastic in stock to match the demand of the phone for which it is exclusively built. Because come on, Google - this month-long wait shouldn't have happened in the first place. If you're looking to pick one up, head to the Play Store link below.